Universal roll-about Snowmobile Dolly Set. Easily roll over gravel, cracks and other lumps and bumps. 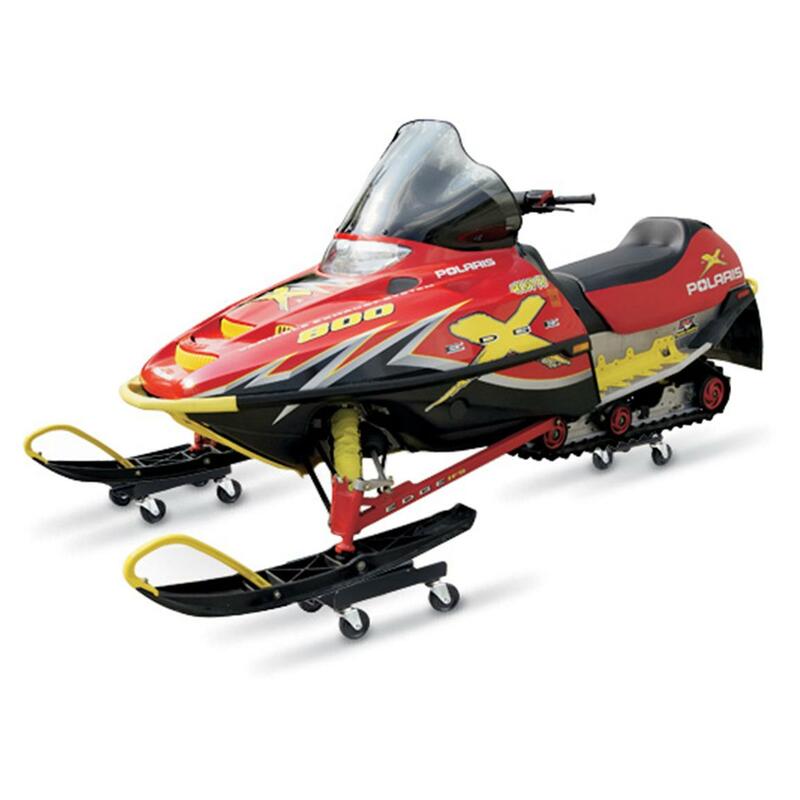 This high-quality, solid steel Snowmobile Dolly Set makes it simple. Also prevents unwanted movement. 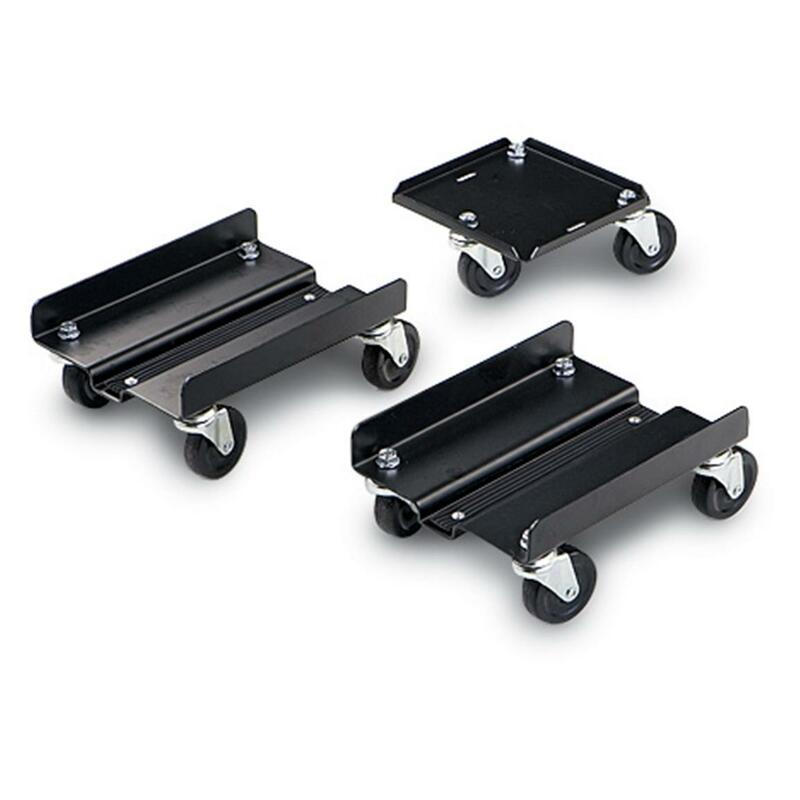 Extra-long and stable 2 1/2" rubber and nylon castors allow for easy movement and 360° turning radius. Rubberized groove fits and protects all sizes of skis, including those with dual carbides. Made of tough 1/8" black-coated steel. Measures 10" x 7 1/4" x 3"h.